What does a PIRTEK USA Franchise Cost? 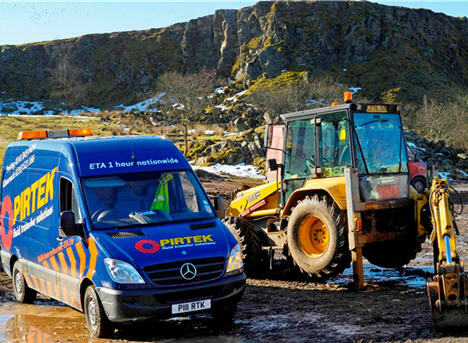 Go into business for yourself, not by yourself with Pirtek. 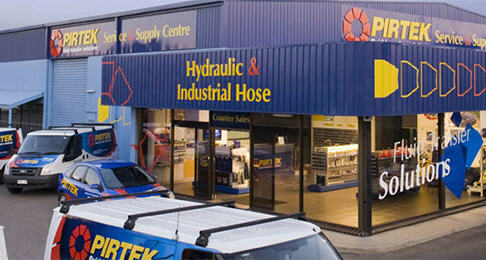 Own a PIRTEK Hose Service & Supply Center franchise with 30 years of experience for a proven, strategic business system. Whether it's assisting you in finding a suitable location, conducting employee interviews or attending local trade shows, the PIRTEK strategic system supports you every step of the way. Learn more about having a business you can work on and not in, to have a business where you can work business hours and build a team around you which will provide a valuable service, where you can build a successful business that affords you the lifestyle of your dreams. PIRTEK is the leader in fluid transfer solutions, the only franchise of its kind in the United States. With more than 30 years of experience, PIRTEK is a service-based business focused on reducing downtime by repairing and maintaining hydraulic- and pneumatic-powered machines. PIRTEK offers unmatched service and logistics, an industry-leading sales approach, and a corporate center passionate about its franchisees and customers. The business boasts 400+ Service & Supply Centers and a fleet of Mobile Service Vehicles in 23 countries. It is well-matched to entrepreneurs who understand the value of building relationships. A PIRTEK franchise can capitalize on opportunities wherever industrial equipment is used – i.e., virtually everywhere. Turnkey Startup: PIRTEK offers support in area evaluation, site selection, build-out, equipment, inventory, vehicle acquisitions and outfitting, certified training, proprietary computer software, customer, sales and much more. Certified Training: PIRTEK offers its program to you and your entire team. Depending on the position, the training program ranges from one to two weeks. It covers sales, marketing, accounting, administration, IT and technical training. It also offers certifications recognized by the International Fluid Power Society. Advertising and Marketing: Owners can focus on building their businesses from day one. PIRTEK provides all the marketing material, promotional items and sales programs to support your growth. PIRTEK ads appear in trade publications, national print magazines, newsletters and email campaigns, as well as on various websites and trade shows nationwide. Note: As a VetFran participant, PIRTEK offers a $5,000 reduction off the current franchise fee for any honorably discharged veteran.